“Cas Lowood has inherited an unusual vocation: He kills the dead. So did his father before him, until he was gruesomely murdered by a ghost he sought to kill. Now, armed with his father’s mysterious and deadly athame, Cas travels the country with his kitchen-witch mother and their spirit-sniffing cat. Together they follow legends and local lore, trying to keep up with the murderous dead—keeping pesky things like the future and friends at bay. When they arrive in a new town in search of a ghost the locals call Anna Dressed in Blood, Cas doesn’t expect anything outside of the ordinary: track, hunt, kill. What he finds instead is a girl entangled in curses and rage, a ghost like he’s never faced before. She still wears the dress she wore on the day of her brutal murder in 1958: once white, now stained red and dripping with blood. Since her death, Anna has killed any and every person who has dared to step into the deserted Victorian she used to call home. 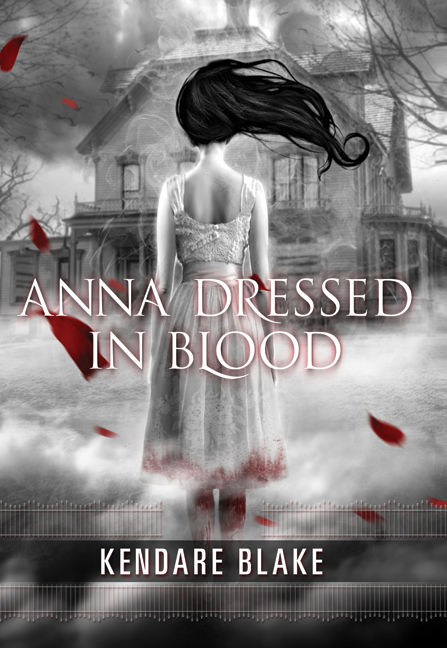 Anna Dressed in Blood was one of the hyped debuts of 2011 and I was initially drawn to it when I saw its awesome cover. Plus I was on a horror kick after reading The Child Thief and I hoped this would live up to my expectations. The story follows Cas, a sarcastic ghost hunter who follows a “tip” to the town in which Anna resides. Cas was a very unique character, he is following in his father’s footsteps and lives up to his father’s name by following tips around the country and hunting down ghosts to send them to wherever it is ghosts go after they are done hanging on the Earthly plane. After some research, Cas meets Anna, who I immediately loved. This character was so twisted and layered that I felt all kinds of emotions toward her. The story was beautifully done as her history is revealed in a slow, mysterious way. She starts off as this terrifying character who is disemboweling anyone who ventures into her house and slowly, as her history is revealed, she mellows out in an almost tragic way. I am eagerly anticipating the second installment of this series; it is one of my most anticipated reads of 2012. I recommend this book to anyone who likes horror (that isn’t too horrifying) and a sweet love story (that isn’t too lovey). 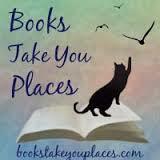 This entry was posted in Reviews, Young-Adult and tagged fantasy, ghosts, horror, paranormal, romance, supernatural. Bookmark the permalink. I still need to read this one! Thanks for the whole 'it's not really that scary' warning. I like to know going in if I expect to have the crap scared out of me.